This post may contain affiliate links. Click here to see what that means. Does that seem a little “out there” to you? I'll be honest. When I first saw the technique demonstrated, I was skeptical. However, a growing body of research supports its effectiveness, and when I tried the technique myself, I did feel better. Maybe those of us who are skeptical need to try it, most of all. 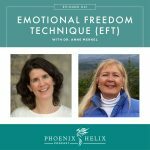 Before we get into the research on EFT itself, let's talk about the demonstrated effects of emotion on physical health. Research shows that sadness increases our perception of pain, depression increases inflammation, stress can make you sick, and anxiety affects immune function. Suppressing emotions isn't the answer (although we all do it to some extent.) Research shows this leads to a host of problems, both physical and psychological. 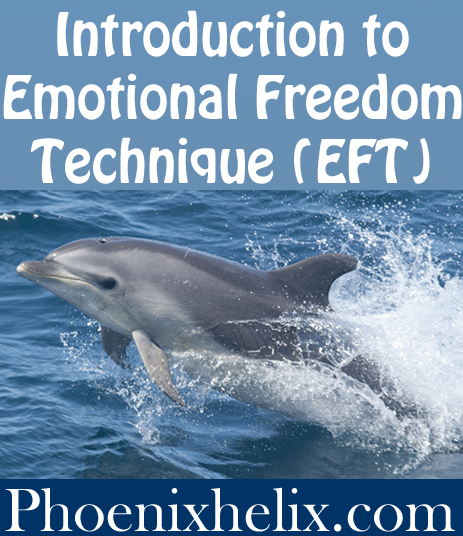 EFT is designed to release emotions, rather than suppress them. So what does the research say about its effectiveness? 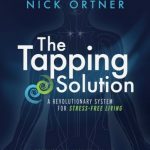 It's an emerging field, so most of the studies are from the past few years, and this is what they're finding: EFT decreases anxiety, reduces cortisol levels (the stress hormone), treats post-traumatic stress disorder, soothes headaches, reduces food cravings, alleviates depression, and lessens psoriasis symptoms, to name a few. That's an impressive list. Gary Craig, the founder of EFT, describes it in terms of energy. 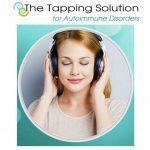 The tapping stimulates the same meridians that have been used in acupuncture for thousands of years. If we see ourselves as energetic beings, both physical and emotional trauma can disrupt our energy field. EFT is designed to realign that field and release those blocks, and in doing so, heal our mind and body at the same time. Others believe EFT is cognitive restructuring. By combining emotional recall with verbal affirmations and physical stimulation, we change the way our brain experiences that emotion, effectively reducing its intensity and its negative effect on our body. 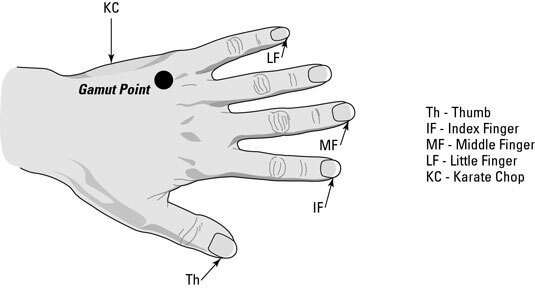 These are the points you tap during an EFT session, as demonstrated in the video above. The script always begins with the phrase, “Even though (insert problem here),” and ends with the phrase, “I completely love and accept myself.” Avoid the temptation to change this ending phrase. It has proven to be the most effective. The following scripts are simply samples. You'll want to personalize them for you. “Even though I can't stop crying today, I completely love and accept myself. Be honest with yourself, and say what you really think and feel. We are trained to not indulge in negative thinking, so reading through those scripts can be a little overwhelming. But EFT is about acknowledging our feelings and releasing their power over us. It's a way to transform negative thinking. So, be honest, and let go of the judgmental voice within. Make your scripts as specific and personalized as possible. Really feel it, when you say it, and rate the intensity of the feeling on a scale of 1 to 10. Really feel the affirmation as well. If you don't believe the affirmation, say it like you do. It still has power. Say the statements out loud. At the end of the tapping sequence, tune into the feeling again. Has it lessened at all? If yes, smile, it worked! If not, repeat the sequence again a second or third time. If is still hasn't lessened after a third round, try to get more specific with your statement, and try to tune into your feelings more closely as you tap. EFT is most effective cumulatively; it's like peeling layers of an onion. So do EFT throughout the day. 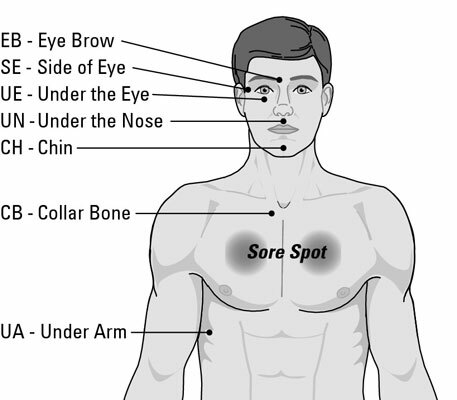 One of the most effective times to do EFT is right before you go to bed. It gives your subconscious the whole night to absorb the message. 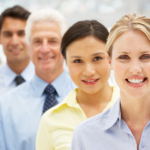 Your subconscious mind is very literal, so always keep your statements in the present tense. Otherwise, you're telling your conscious mind to postpone healing into the future. If it doesn't work for you, consider consulting with an EFT practitioner. There's a resource directory listed below. Image Credits: Dolphin image from the NOAA. Tapping point illustrations from the Dummies.com website. Have you checked out my books? Copyright Eileen Laird © 2018. All rights reserved. I'll never share your email with anyone else.